Individuals operating 501(c)(3) organizations are often concerned about complying with the various restrictions imposed by the Internal Revenue Service -- their organization's tax-exempt status depends upon proper compliance. When selling the organization's property, so long as the organization follows a few common-sense rules, it should comply with IRS sales restrictions. A thorough understanding of the rules against improper excess benefits and self-dealing will help 501(c)(3) organizations maintain their tax-exempt status. 501(c)(3) organizations are granted tax-exempt status because of their charitable work. Therefore, any attempt by an individual to turn a personal profit from a charitable organization's operations could potentially undermine the basis for the tax exemption. The IRS scrutinizes transactions such as the sale of property to ensure that the transaction is not a cover for personal gain. Simply put, an excess benefit is present when the property sale provides an economic benefit to a "disqualified person" greater than the value of the goods and services the organization receives in return. A "disqualified person" includes shareholders and managers of the exempt organization, contributors, and certain family members of these people. A disqualified person can be an individual or an organization, and the benefit may be provided directly or indirectly. Self-dealing occurs when a property sale is between the organization and a shareholder or other disqualified person, regardless of whether an excess benefit is present. In fact, in many cases the IRS even considers a gift of property a "sale" if the 501(c)(3) organization assumes a mortgage or lien on the property it receives. 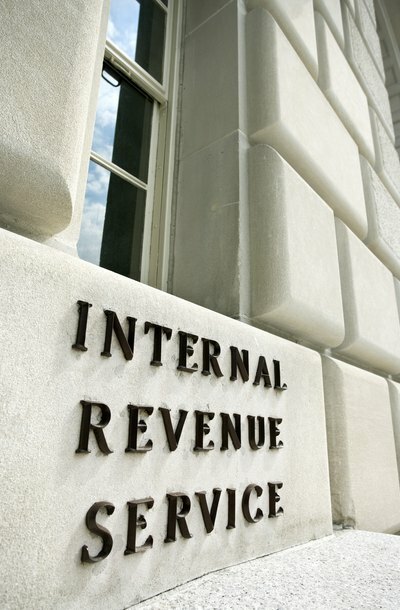 As with excess benefit restrictions, the IRS requires that all restricted self-dealing sales, once discovered, be reversed within a specified time. The IRS requires that all restricted excess-benefit sales be reversed. Further, sanctions may be imposed against the organization and its managers. For the worst offenses, the organization may lose its tax-exempt status. The disqualified person who received the benefit may also be taxed 25 percent of the benefit received. If he does not promptly return the benefit, he may then be taxed 200 percent of the benefit. In addition, any organization manager who participated in the sale may be taxed 10 percent of the benefit if he was aware of the benefit. One way to avoid such consequences is to ensure that all corporate actions are properly documented via corporate minutes and appropriate resolutions for the sale of property. Legal document services can assist with the proper preparation of these forms. If an IRS examiner determines that a sale of property involved self-dealing, as with excess benefits, the IRS will require that the sale be reversed and may impose a variety of sanctions. Again, it is possible in dire cases for the organization to lose its tax-exempt status. The examiner may also determine the "amount involved" -- the monetary amount at issue -- and then tax the disqualified person involved in the sale, for 10 percent of that amount, or 200 percent if he does not promptly undo the transaction. In addition, any organization manager who participated in the sale may be taxed 5 percent of that benefit if he was aware of the self-dealing. In cases of delay or failure to comply, that tax may increase to 50 percent. Again, one way to help avoid such consequences is to use online legal document services to document transactions properly in the corporate minutes and to make appropriate resolutions for the sale of property. The Internal Revenue Service has strict rules governing donations of non-cash property to tax-exempt nonprofit organizations. For gifts of property valued at over $250, the organization must provide the donor with a written acknowledgment of the donation that includes information required by the IRS. The organization is required only to acknowledge receipt of the property; it should not use the acknowledgment to establish the property's value. It is the donor's responsibility to establish the fair market value -- or FMV -- of the donated property based on IRS rules and to indicate the value when the deduction is listed on the donor's tax return. If the organization or the donor fails to follow the rules, the donor can lose the right to deduct the donation, and both parties can face IRS fines and penalties.